HOT SAUCE! 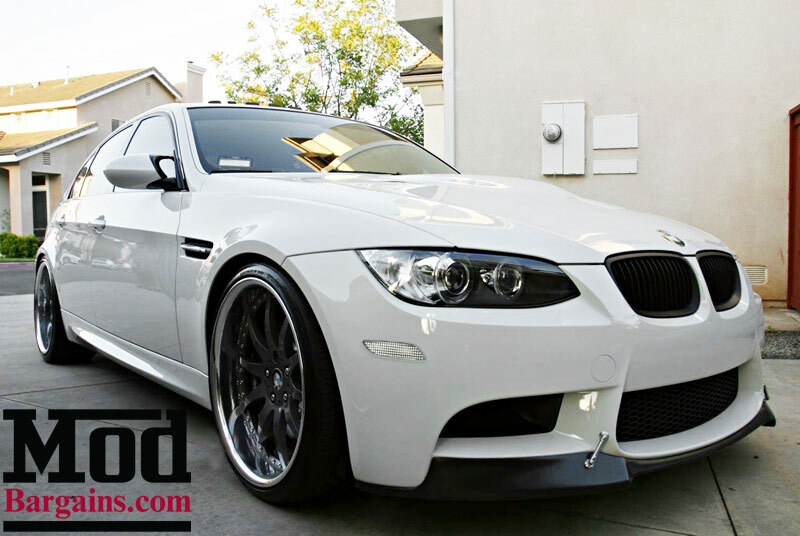 If you want to spice up the front end aesthetics of your BMW E90 M3 then this FRP VRS Style Front Lip is for you. This VRS Style Lip is available in Fiber Glass providing a light-weighted front addition to the lower face of your bumper. 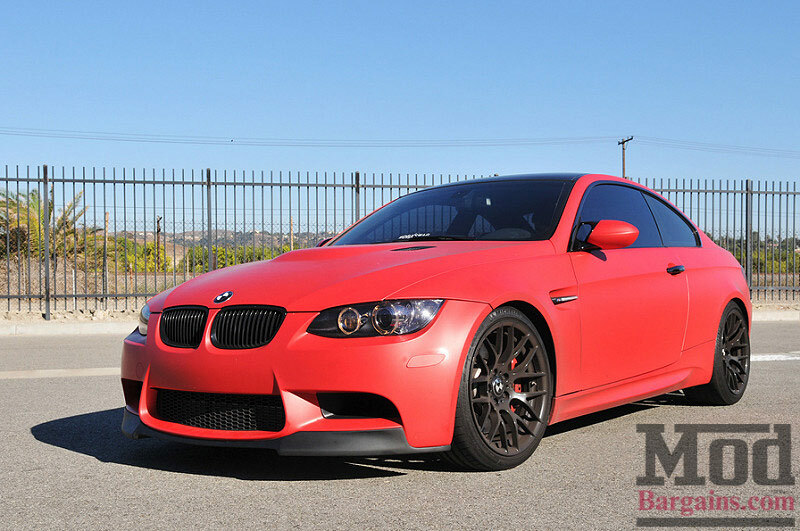 The aggressive new styling to the front of your M3 also allows more direct air to your air and brake ducts. Another great benefit to this front lip, is that you dont have to have a front splitter to achieve a ground effect. 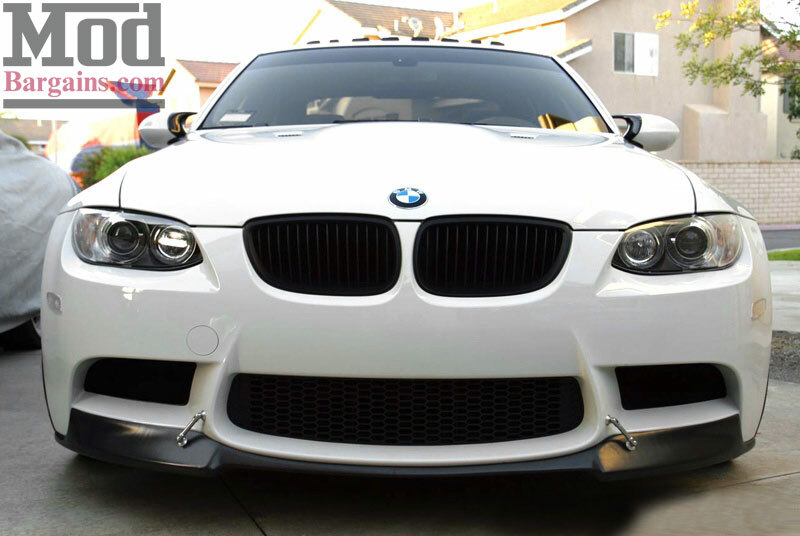 The Look and Style of your BMW will dramatically change with this specific upgrade to your lower front bumper face. Increase Air Flow to your Brake and Intake Ducts! Add more Downforce without a splitter. NOTE: Like all Fiber Glass and FRP products on the market, this product must be test fitted & prepped before installing it. Often, slight modifications are required such as trimming, sanding, filing, or smoothing the surface in order to get best fitment and appearance. This is NOT an OEM product, fitment will NOT always be perfect straight out of the box. We recommend having this product installed by a company that has experience working with AFTERMARKET body kit pieces, not a standard collision repair center that only works on insurance claims. Images below show an accurate representation of THIS PRODUCT, properly installed by a professional installer. We also install this product at our own installation facility in southern California. 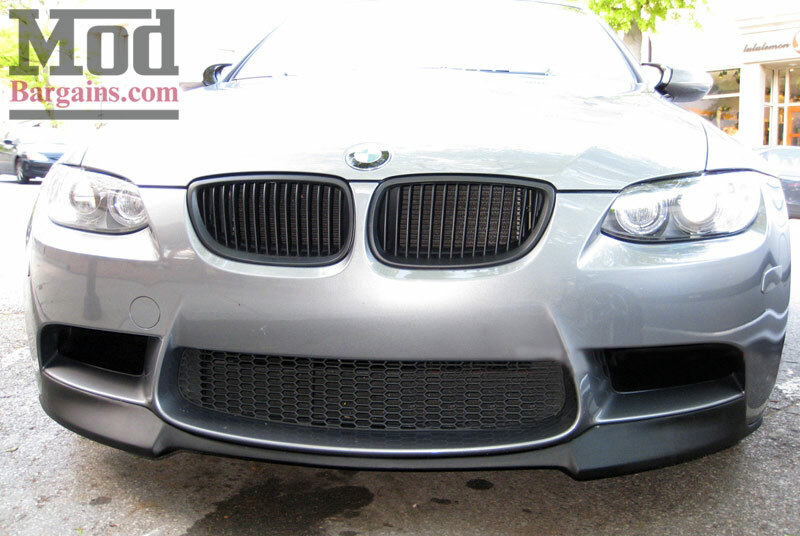 This BMW E90 Fiber Glass Front Lip installs right onto your OEM front bumper via the use of double sided adhesive. Installation is simple and can be done in under an hour.